The first phase of the roadworks in Kirkintilloch town centre which are paving the way for the controversial shared space scheme will be completed within three days – according to East Dunbartonshire Council. A council spokesman told the Herald the new-look stretch of road at Cowgate, between Townhead Bridge and Catherine Street is on track to be completed by Monday, June 20. He added that the council’s contractor, Rainton Construction, will close sections of Catherine Street and Kerr Street from Wednesday, June 29 to 6am on Tuesday, July 19, to allow improvements to take place there. Union Street will reopen during that time to ensure vehicular access is maintained to the Regent Centre, shops and facilities. The spokesman said: “The latest improvements have been scheduled to take place during the school holidays to minimise disruption to Holy Family Primary and St Ninian’s High. “It is anticipated that all four arms of the Catherine Street junction will be closed on Sun/Mon 17/18 July to allow resurfacing to take place - once again minimising disruption. The junction will reopen on 19 July at 6am. He said a potential three-week closure of the entire Catherine Street junction had been avoided. East Dunbartonshire Council Leader Rhondda Geekie said: “Work to bring ambitious plans for Kirkintilloch to fruition is now fully underway. “The improved road and pavements between Townhead Bridge and Catherine Street are impressive and bode well for the remainder of the rolling programme. 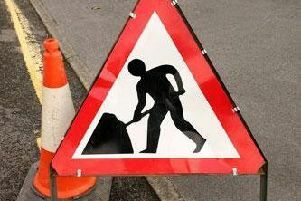 Councillor Geekie added: “Please be aware there will be changes to the current traffic system from 29 June as the next phase of works comes on-line. “I am delighted we were able to work with our contractor and partner agencies to avoid a complete closure of the Catherine Street junction. The shared space design, which is due to be completed by summer 2017 and which will see traffic lights removed from junctions and vehicles and pedestrians sharing the same space using ‘courtesy crossings,’ has been opposed by thousands of local people. The Herald has been inundated with complaints and disabled people say they have effectively been banished from the centre of Kirkintilloch as they will not be able to cross the road safely.